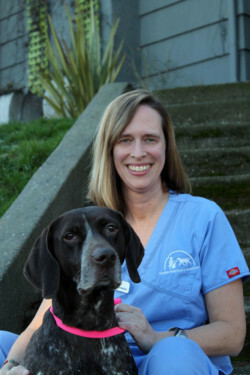 Lisa joined SVA in 2008, as a Veterinary Assistant. Lisa earned her Veterinary Technology degree from Penn Foster University and became a Licensed Veterinary Technician in 2013. Lisa also holds a B.S. degree from Rochester Institute of Technology. In 2017 Lisa was the first staff member of SVA to earn her Fear Free Certification and is using that training to improve the lives of pets.